The loss of a car key and being locked out of a car just because you might have forgotten your key inside the car can now be solved by experts and professionals commonly known as Auto locksmiths. Auto Locksmiths are people whose jobs involve cutting keys including car key and lock systems of a car. 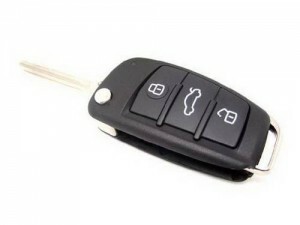 They are able to replace car keys and at the same time they can change all the locks of your car upon request. Transponder keys, chipped keys are all in a days work to our auto locksmith in Dublin. In other cases, you might have purchased a second hand vehicle of which the owner only gave you a single key; you never know he might be having copies of your car key. The direct solution to this is have a mobile locksmith with significant experience in order to replace all your car locks and make you a new key. You must also take care while going choosing a auto lock smith to help you, as some can be self thought and not have the relevant authority to be at your vehicle. Locksmiths are becoming licensed which will soon be provided by the authorities to prove that he is genuine and is doing that particular job legally. They offer a variety of services from domestic to commercial ones. They also make door locks at home and in the offices apart from cutting car keys. They are professionals who have the knowledge to deal with all kind of locks, padlocks and they have the ability to make all types of keys. Being a locksmith has become a business and many have ventured into it by opening up their working places. They are so many that once you have a problem with the car keys or the car locks, then you can choose from a wide range of professionals at a suitable cost. They offer their services at affordable prices because the business has become a competition. What should be put into consideration when searching for a mobile auto locksmith is the competence, efficiency and keenness in the job they are doing. Where else can you find professionals of this kind? That’s what you should ask yourself, if you are in doubt of the person or the service of the delivery of the auto locksmith don’t use them. The car owners are no longer going to live with the fear of criminals breaking into their homes, entering their cars at night and driving away. A lock system designed by a locksmith can be safe and secure. The locks are made in such a way that only their keys can function with them. Another advantage of using mobile locksmiths for car keys is that the car owner can call day or night as these mobile guys are readily available.